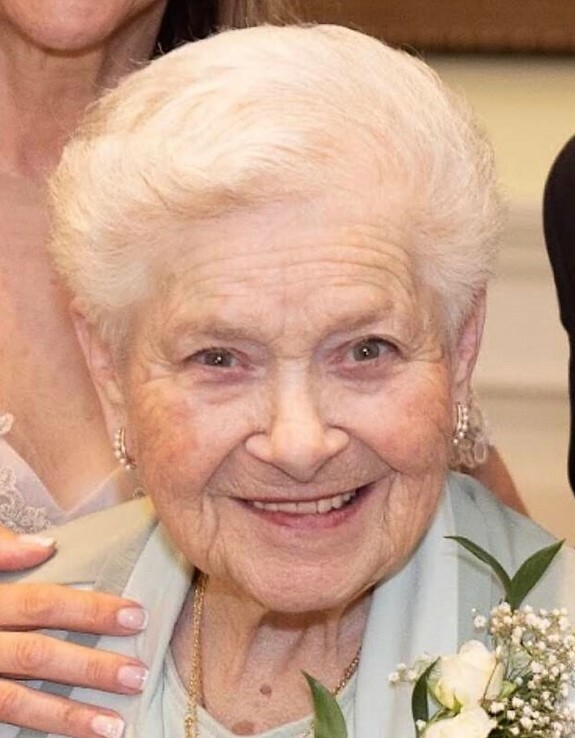 Angela M. Borzone (nee Cicero), 90, of Norwood, formerly of Northvale, passed away on Saturday, January 19, 2019. Beloved wife of the late Pat. Loving mother of Anthony and his wife Paula of Old Tappan, Patrick and his wife Beverly of Phoenix, AZ and Mary Rosica-Kirchner and her husband William of Wyckoff. Adored grandmother of Kenneth and wife Nicole, Daniel and wife Laura, Michael, Patrick, Louis, Eric and Evan and great-grandmother of Lola, Kaylie and Lucy. Dear sister of the late Eugene Cicero and Gloria Fortunato. Predeceased by her son-in-law, Daniel Rosica. Angela was a devoted wife, mother and grandmother. She also devoted her life to helping others through community service. She was a 49 year life member of the Northvale Ambulance Corps and was past president. For 11 years she was on the Domestic Violence Crisis Team. Angela was a member of the Northvale and Norwood Senior Centers as well as the Northvale Golden Agers where she was past president. She served on the Northvale Board of Elections, the Welfare Board and the Foxhill Manor Board of Trustees. She was an aid to handicapped children and was a crossing guard in Norwood and Northvale for many years. Angela was also an active parishioner of St. Anthony’s Church. Angela was honored in 2003 with the Honorary Citizens Award by the Northvale Mayor and Council and received a certificate of merit in 1998 for saving the life of a Northvale resident through CPR. A Funeral Mass will be celebrated Friday 10 AM at St. Anthony’s Church with entombment to follow at Garden of Memories, Washington Twp. Visiting hours are Thursday 3 – 7 PM at Pizzi Funeral Home, 120 Paris Ave, Northvale (201-767-3050). In lieu of flowers, donations to the Northvale Ambulance Corps, 196 Firenze St, Northvale, NJ 07647. Heartfelt sympathy to the Borzone family. Mrs Borzone was a wonderful lady who always had a smile and kind word for all. May she rest in peace. Angela was a great friend who l will miss greatly. She was kind, helpful and loving. Mary, I am so sad to hear this. You and your family will be in my prayers. Janet O. It is an end of an era. Aunt Angie will be missed…our deepest condolences on her passing.